Our business ｜Katsura Chemical Co.,Ltd. 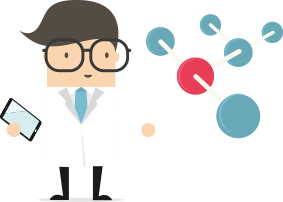 We are an API manufacturing company that has been supplying drug substances in Japan and internationally for almost 70 years. What is API? Active Pharmaceutical Ingredients (APIs) contained in medicines are referred to as drug substances. Katsura Chemical will be celebrating its 70th anniversary next year as a manufacturer specialising in APIs for pharmaceuticals. What is API? Product information For almost 70 years, we have been producing more than 100 different types of APIs and chemicals. Please click here for further information. Manufacturing APIs Under the strict condition of Good Manufacturing Practice (GMP), we produce APIs on various scales. In particular, we focus on small scale production in kilogram units, offering high-quality and high value-added products promoted by our aim to become a leading company of Global Niche API. Custom synthesis We deal with contract manufacturing of compounds of various types and scales. Katsura Chemical is able to contract manufacture high-quality APIs ranging from milligrams (mg) to tons (t) guaranteeing a high-standard of service as promised by the Katsura-Chemical-Quality mission statement. Technology In our laboratories, we are continually making efforts to cultivate the manufacturing process for new products and improve it for existing products. In order to accomplish these tasks efficiently and scientifically, we use the latest facilities and state-of-the-art technology in our laboratories. Please feel free to send us your enquiry concerning our products and services.